This sermon, by Rev. C.S. 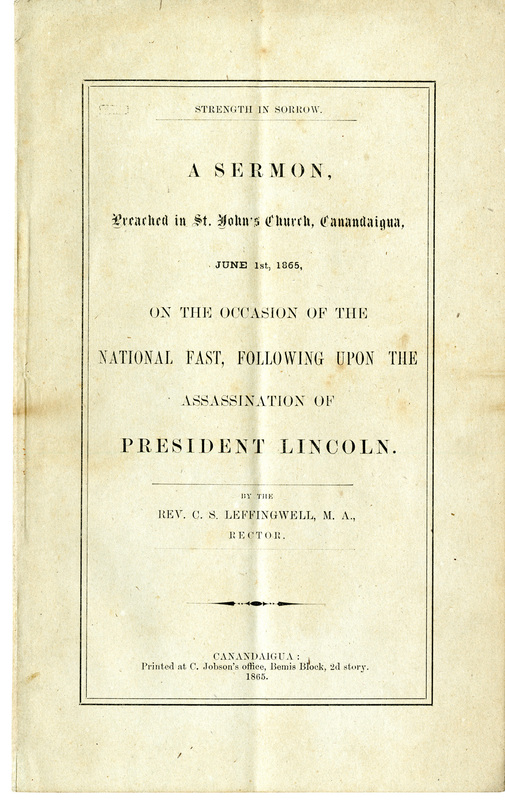 Leffingwell, remembers Lincoln as a religious man equipped with the mental power and wisdom to hold the United States together during a time of war and strife. The sermon further highlights the importance of a unified nation under God, and the divine role of providence in past civil strife. Leffingwell emphasizes the value of honoring the dead who fought patriotically to maintain the unity of the United States.